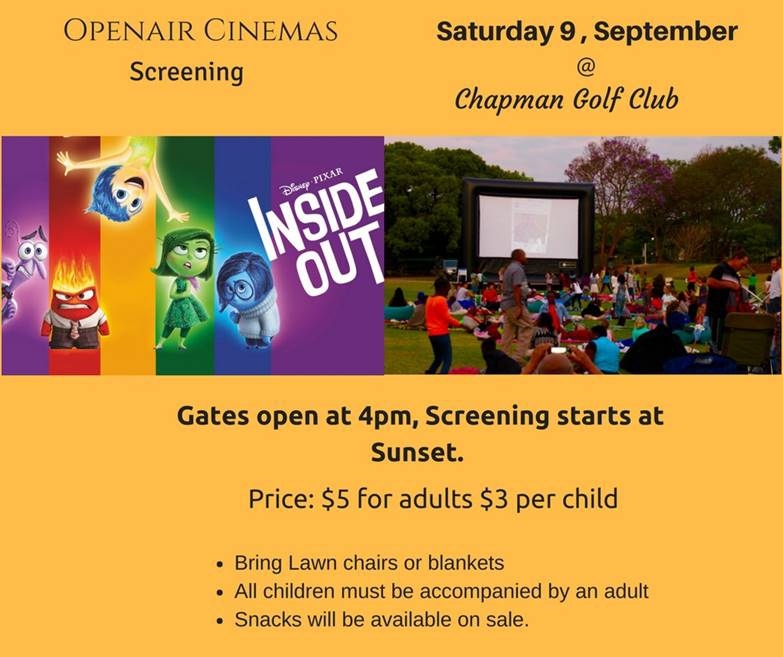 Gates open at 4pm and screening starts at sunset. Price $5 for adults, $3 per child. Bring lawn chairs or blankets. All children must be accompained by an adult.